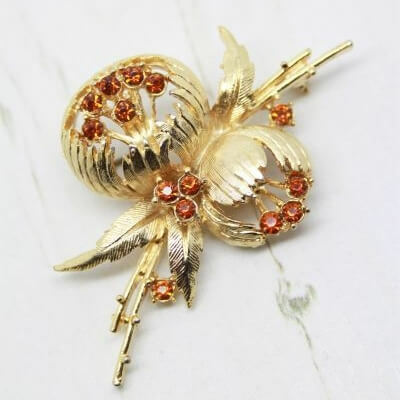 Description: A rather unique brooch from Exquisite, this fully signed pin features sparkly amber crystals in a gold plated setting. 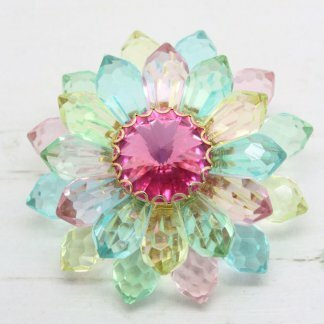 The design of this brooch is very floral – Open peony flowers with leaf detail. 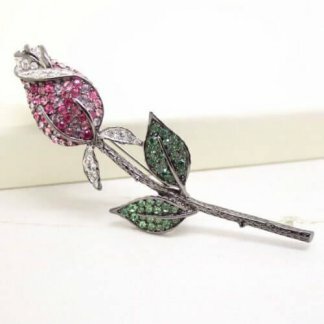 Measuring 6cm at tallest point, this delightful brooch will add the finishing touches to any outfit and look wonderful attached to the lapel of a jacket. In great condition showing slight to no wear, it appears unworn. 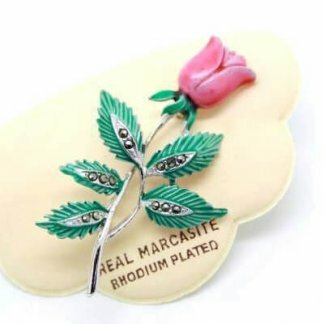 As you would expect this brooch has been well made – timeless & stylish.